Standard wine cellar cooling unit with quiet operation. Cellar Pro's 1800QT compact wine refrigerator provides outstanding performance, adjustable humidity and super-quiet operation. 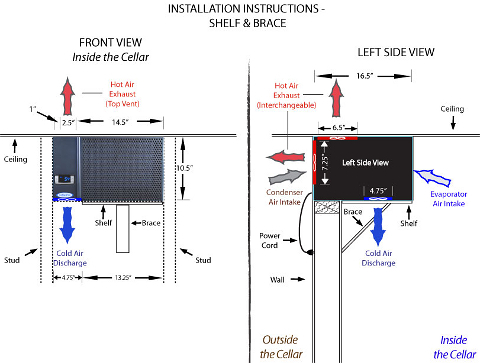 Loaded with features, the Cellar Pro 1800QT is a wine cellar cooling unit that was designed for cabinets that will be placed indoors and will be used in residential applications. 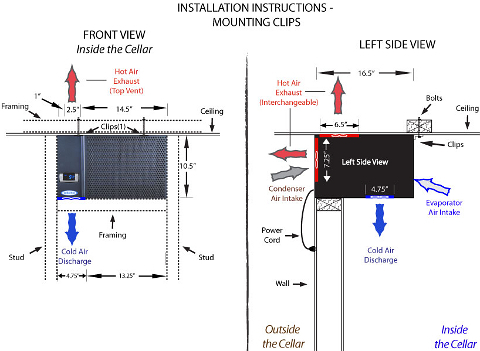 Cellar Pro wine cellar cooling systems are designed to provide optimal storage conditions for wine cellars and cabinets. 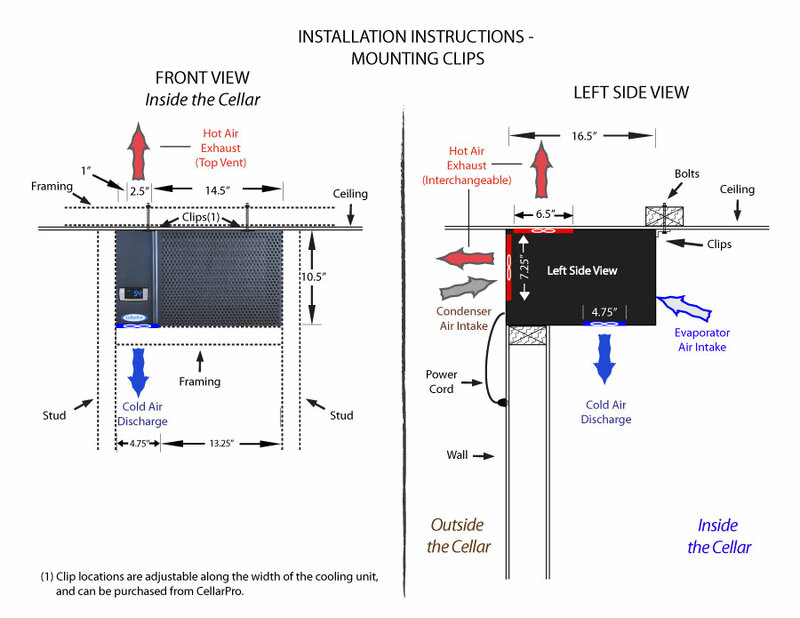 For the first time, wine collectors can control the temperature AND adjust the humidity inside their wine cellars with CellarPro cooling systems. This represents a significant advance over existing wine cooler refrigeration technology. 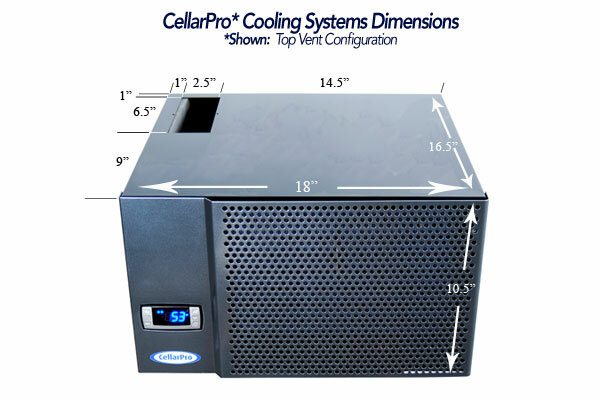 CellarPro cooling units combine high-end components and advanced engineering to outperform other wine cooling systems. 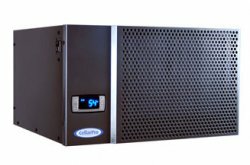 With an oversized compressor and coils, an advanced European control panel and the latest technology, CellarPro wine cooling systems operate effectively in high temperature environments with digital power and precision. The 2018 new Houdini - 1800 - is shorter, narrower and longer than the other 1800 series cooling units. It can be installed in narrower cabinets up to 200 cubic feet. 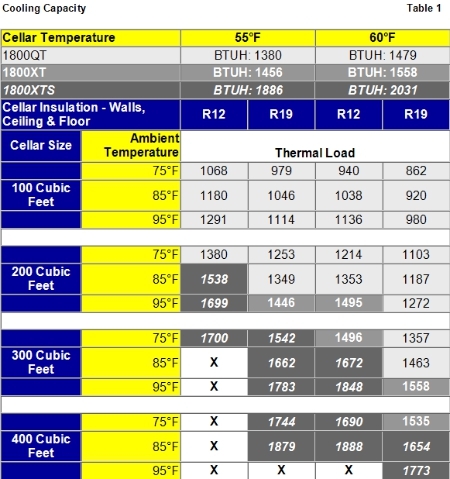 It can only withstand ambient temperature of 95 degrees, unlike the other 1800 coolers - but shares many of the same features as indicated below. The cooling unit plugs into a standard wall outlet. 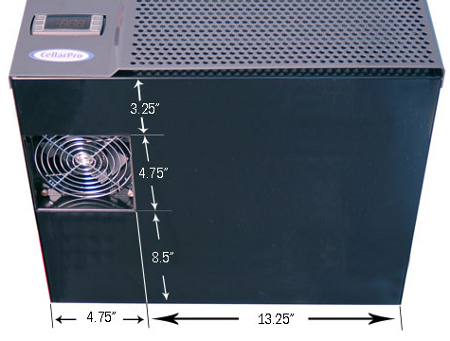 The components of the cooling unit draw 3 amps, and the electric outlet on the side of the cooling unit also is rated for 3 amps. We recommend using a surge protector rated at 15 amps or more. 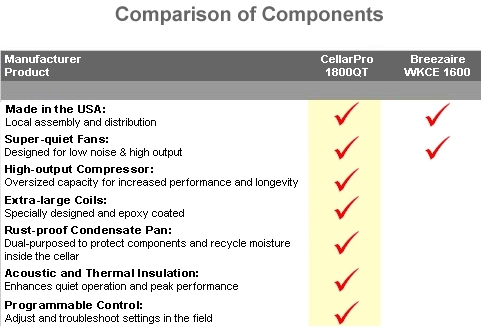 Please Note: Cellar Pro options are shipped at no charge as long as they are ordered with main Cellar Pro unit. There is also the option within the 1800 series to have a -L for leather storage or -AV for Audio Visual Equipment room. 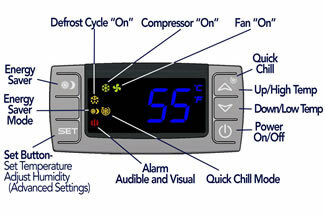 Please note that the 1800QT & XT can be adjusted on site to be either top venting or rear venting. They will arrive as back venting, but you can easily make the switch. Please make sure you look at the XT series of cooling unit above. 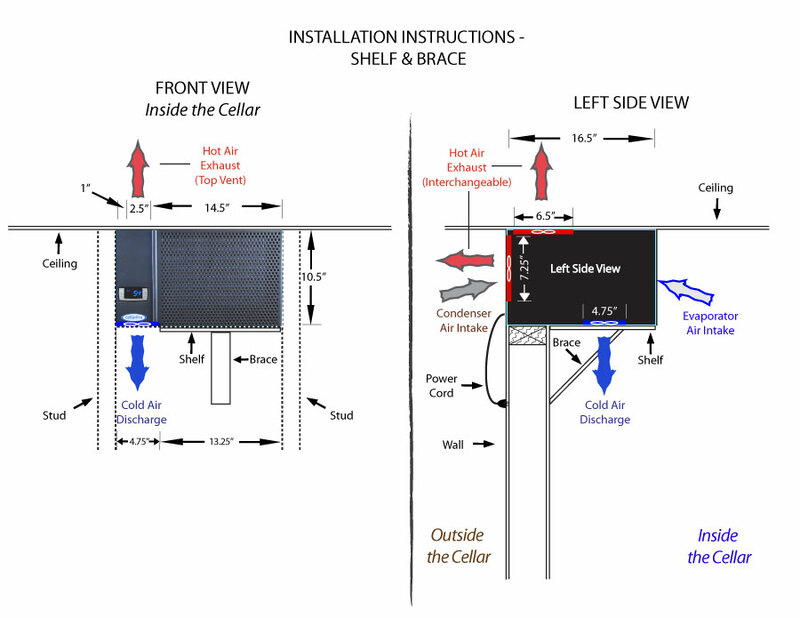 Looking to replace an existing cooling unit within a cabinet? 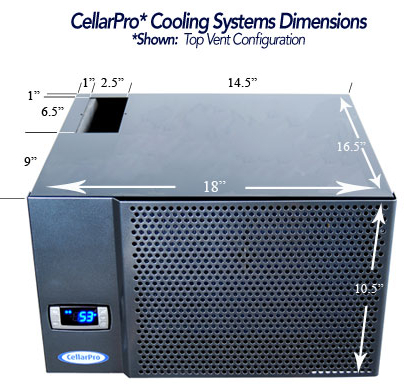 All CellarPro wine cooling units are available for shipping within the United States of America (USA) and Canada. 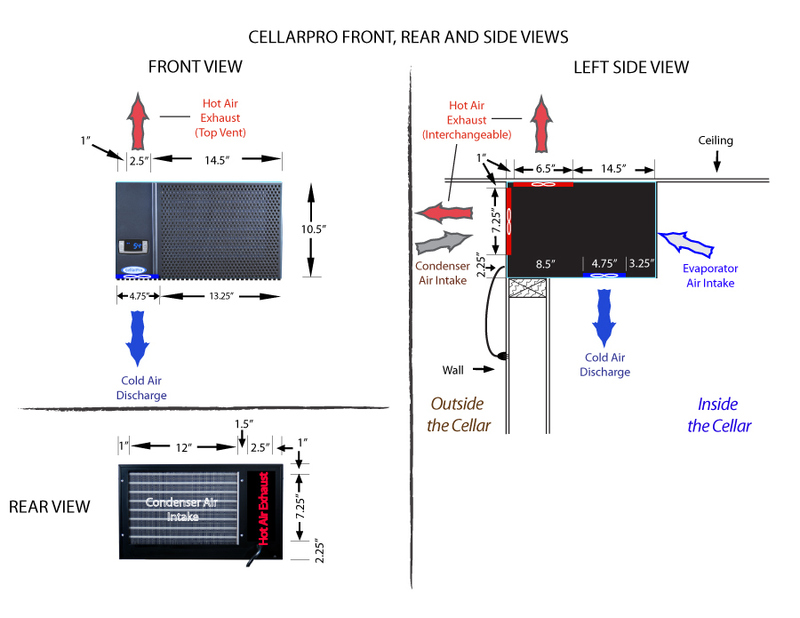 CellarPro wine cellar cooling units are greatly reliable cellar coolers made in the United States of America. 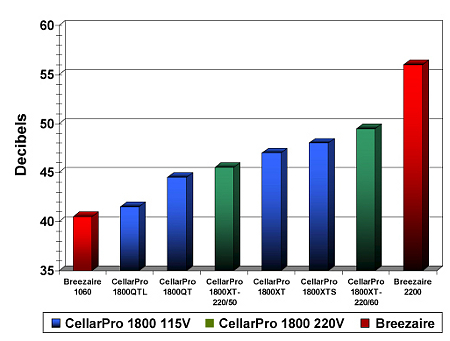 CellarPro LLC is situated in Cotati, CA, California, 94931 USA. 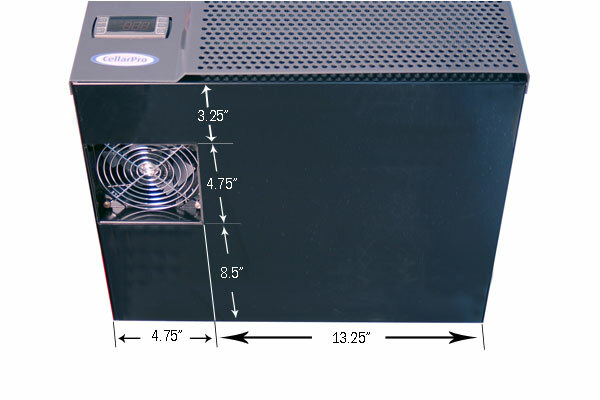 The Houdini is longer & narrower than the other 1800 cooling units, please see product itself for specific info.